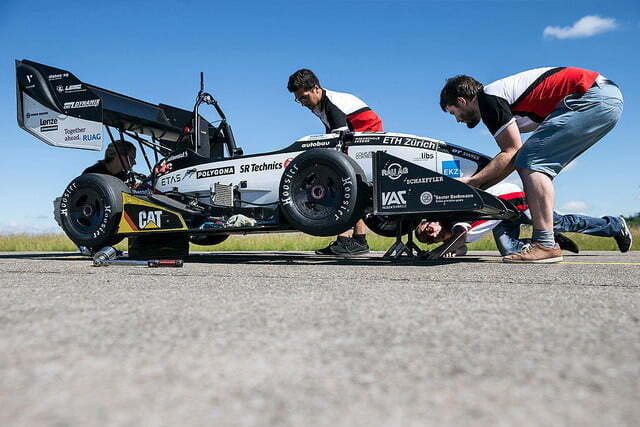 Students in Switzerland just set a world’s record for an electric car, hitting 0-100 kph (0-62 mph) in just 1.513 seconds. 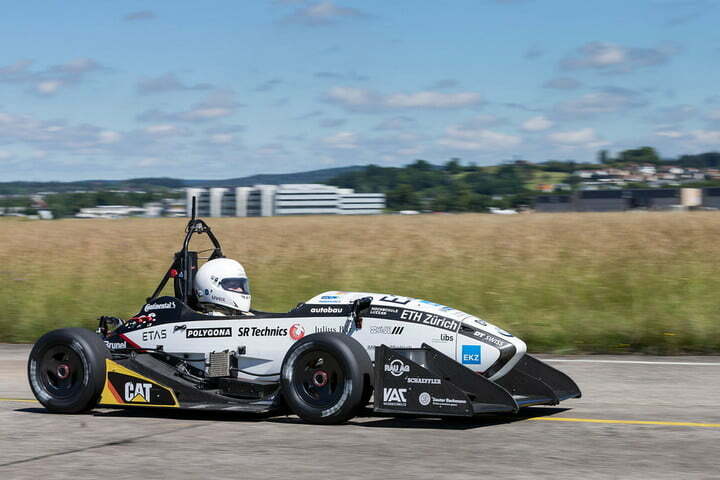 The Formula Student Team at Academic Motorsports Club Zurich (AMZ) set the record with the Grimsel race car, according to ETH Zurich. 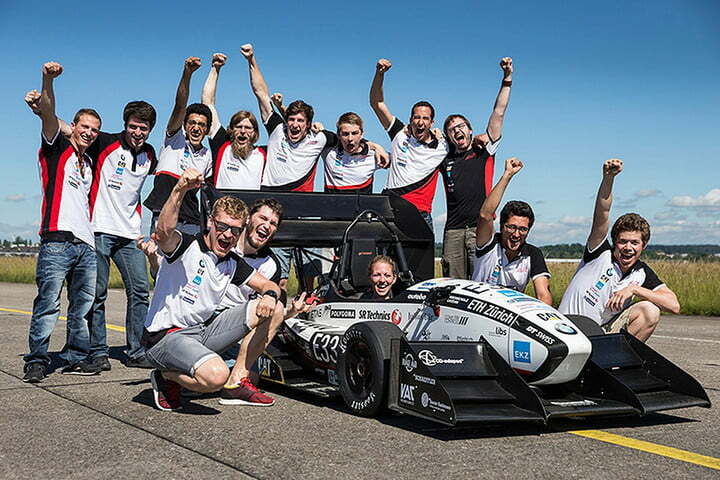 The record holders, students at ETH Zurich and Lucerne University of Applied Sciences and Arts, built the Grimsel, and ran and filmed the test run at the Dübendorf air base near Zurich. Equally impressive as the time and speed, the record-breaking run was completed in just under 30 meters (about 100 feet). 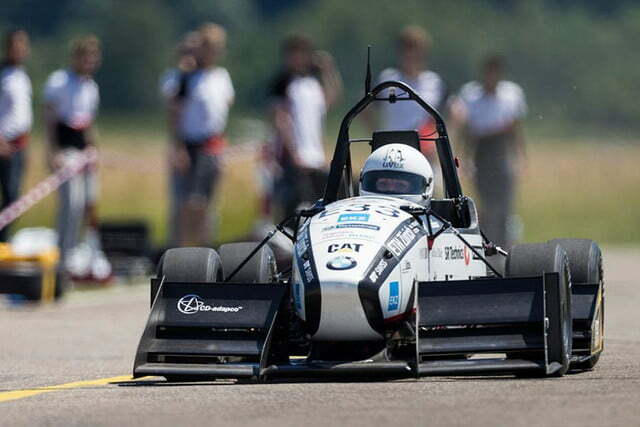 The AMZ team demolished the University of Stuttgart’s previous world record of 1.779 seconds, set last year. Several design technologies enabled the Grimsel’s record-setting run. The car weighs just 168 kg (370 pounds) thanks to carbon-fiber components. A four-wheel drive setup employs a specially built wheel hub motor for each wheel, and generates 200 horsepower and 1,250 pound-feet of torque. In addition to a separate motor, each wheel also has its own traction control system. Granted, the Grimsel isn’t a street car and it’s not a production vehicle. But it does serve simultaneously as a platform to test experimental designs and components, and to challenge future designers and engineers. The clever video about the record-breaking test run shows more than just mechanical creativity. The fastest large scale production electric vehicle today is the Tesla Model P90D with Ludicrous Mode, rated at 2.8 seconds on a 0-to-60 run. Less available (only eight cars will be built) but now in production according to the manufacturer, Croatian carmaker Rimac Automobili’s Concept_One is rated at less than 2.6 seconds to 60 mph, according to Mashable. If you look beyond electric cars, it’s not hard to find speed runs faster than Tesla Ludicrous Mode. The fastest gas-powered car listed in Wikipedia is the 2014 Porsche 918 Spider, with a 2.2-second performance. Whether production cars will ever be able to hit 0-to-60 in 1.5 seconds is likely a weight issue given current battery technology; for more power you use larger batteries which increases weight. Whether anyone will ever need to go that fast in a street car is easily answered, but you can be assured that won’t stop engineering students from trying to beat the Grimsel’s performance.